Next, he turned on classical music that was either romantic or the soundtrack of a crazy person about to turn me into a lady suit like Buffalo Bill in Silence of the Lambs. For the rest of my shower, he returned every minute to feed me a different piece of fruit. A grape. A blackberry. A strawberry. Each time screaming “Blog that!” once it was unceremoniously shoved in my mouth (which wasn’t easy because I was laughing so hard at that point…). I mean, what’s more suave and romantic than having fruit shoved into your wet face while someone stomps in and out of the room screaming “blog that!”? Guess what released yesterday? 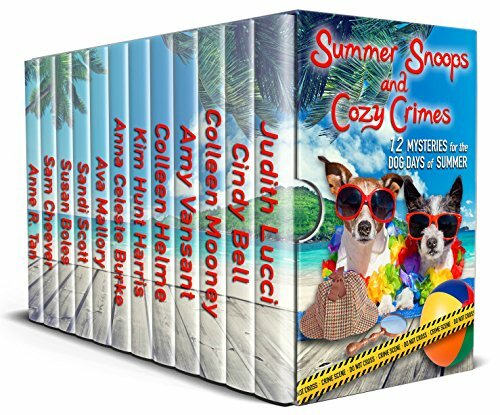 Summer Snoops and Cozy Crimes: 12 NEW Mysteries for the Dog Days of Summer for 99c! Help Us Help Pets! New Release Today – Get it NOW! 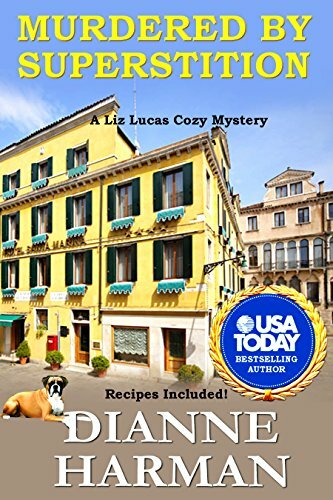 Have a howlingly good read during the dog days of summer with a dozen cozy mysteries from Wall Street Journal, USA Today and Amazon best-selling authors. Murder lurks in every corner during the dog days of summer. Solve the mystery as our snoops leash the criminals – at the beach, at the farm, on the mountain – everywhere! All profits from this pack go to support NO KILL animal charities! Fetch it now! And help us help pets! Bonus recipes from the authors are included! Win up to 20+ eBooks & Gain Access to Deals & Steals on More! NEW RELEASES AND BOOK DEALS! Murdered by Superstition $2.99 thru 7/31, then $3.99! It was just a doll, wasn’t it? It didn’t have powers, did it? Powers that could kill? This is the ninth book in the Liz Lucas Cozy Mystery Series by a two time USA Today Best Selling Author. New Orleans is famous for its pralines, beignets, jazz, Bourbon Street, and the French Quarter. But there’s a darker side to the Big Easy, one that involves voodoo and gris-gris. Nicole Rogers recently moved to Red Cedar from New Orleans. She’d lost weight, became engaged, and had a new job as the manager of a local bank in the small town. But when she found voodoo dolls in her gym locker, work desk, and on her front porch, she was scared. She knew what receiving the dolls meant – someone wanted to hurt her or kill her, and she was right. A few days later, Nicole’s body was found on her front porch with a voodoo doll next to it. She’d been murdered. Join Liz and her dog Winston as they search for the killer. As always, plenty of mouth-watering recipes! 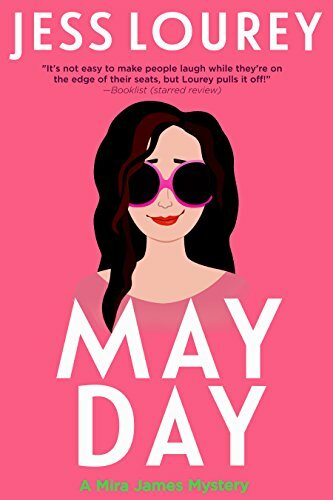 Part of a ten-book series, May Day’s humorous romantic suspense is perfect for readers who love to escape into funny mysteries. Sometimes being a psychic is murder. Especially when you’re one of the psychics on the killer’s hit list. Trudy begins receiving visions from the murderer, putting her on the hunt to expose the killer. 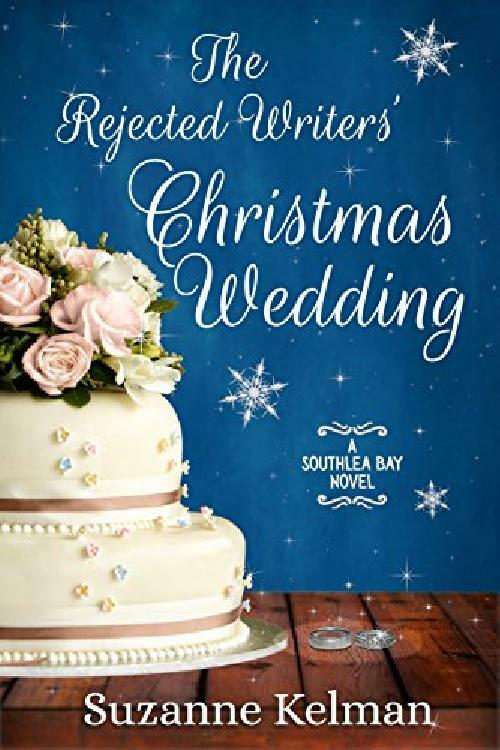 Southlea Bay’s favorite sweethearts, Flora and Dan are getting married. But, when a secret in Flora’s past threatens their happiness, The Rejected Writers set off on yet another zany road trip adventure. But will it be enough? 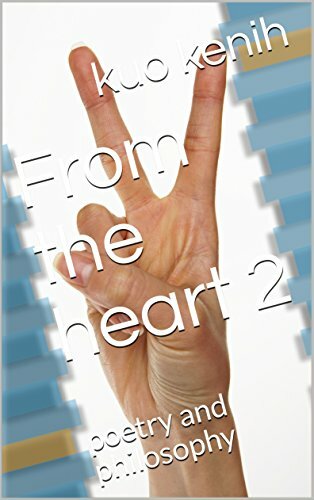 From the heart 2 is a combination of philosophical ideas, poetry and inspiring quotes. The book is divided into two parts. The first part is made up of quotes, and the second part is a combination of poetry and philosophy. There are few humorous pieces to spice the book. He’s a keeper! He feeds you and makes you laugh. And if you put that in a novel would it fly? Bwahaha! I’m still giggling! HUGS!!! That was really sweet. I love it!!! He sounds like a lot of fun!! And imaginative. I agree with the others, he’s a keeper! The first “Blog that!” had me throwing back my head LOL! Not what I’d call “romantic”, but you’ve got to love someone who makes you laugh! Did the fruit taste of shampoo or soap?